As a new content provider on Clash Royale Tactics, I thought I’d get into the meat and bones of one of my most often used decks. This deck got me to the Legendary Arena in a couple of months of playing and I relied on it pretty heavily after unlocking the Lava Hound. The Lava Hound was the first Legendary I had unlocked, so of course I wanted to figure out a way to use it. A lot of people will tell you that the Lava Hound is one of the weaker legendaries, and in some ways it’s hard to disagree with them, but this is what worked for me. This is a highly volatile deck that’s easy to beat with the right matchups, but you can climb the ranks if you figure out how to overwhelm your enemy and play good defense. The second Lava Hound card I found in a free chest, and I purchased a few epic Balloon cards to quickly level up once I was in range of 10 cards. This deck is a simple deck – the Lava Hound acts as a tank while the Balloon does most of the damage. Most buildings just serve as distractions and the Lava Hound can endure it. Towers will always focus damage on the Lava Hound as long as it is front, and will continue to do so even if the Balloon surges ahead. 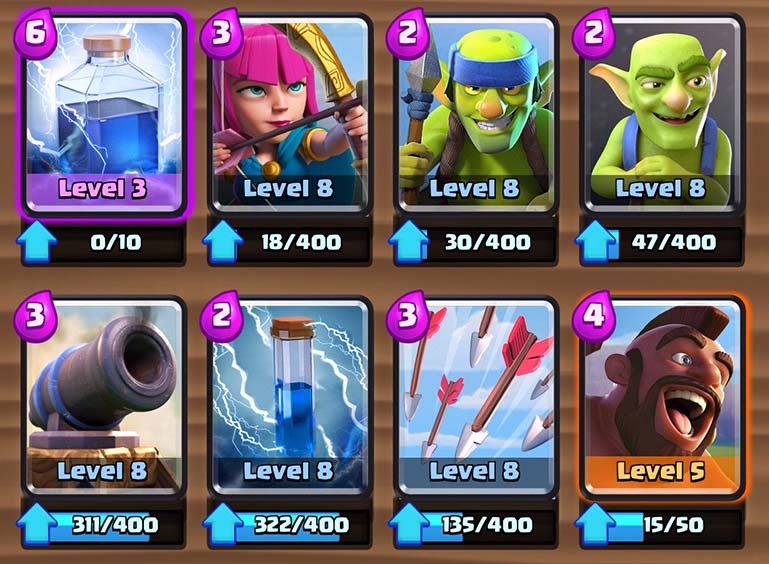 The deployment of this deck is pretty basic – wait until you have the Lava Hound showing, and the Balloon and Arrows either showing or on deck. Deploy the Lava Hound in the back right or back left corner. It’s slow, so your elixir will build as it’s making its way towards the enemy’s tower. Once you have 8 elixir, your Lava Hound should be just crossing over enemy territory. You can deploy the Balloon behind the Lava Hound but get ready to launch those arrows should the opponent have a minion horde, which can take out the Lava Hound or Balloon quickly, but they should survive if you can get the arrows launched quickly enough. 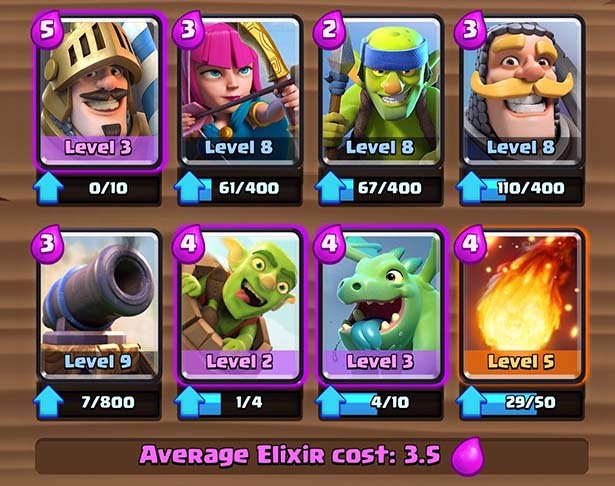 Fire spirits are great for archers/spear goblins, or a set of 3 minions. Eventually your Lava Hound will hopefully make it to the tower, with the Balloon close behind. You may only get one big hit from the Balloon but it’s a good 700 or 800 damage, plus the bomb that drops is 125 or so. And of course there’s the Lava Hound’s damage, plus any damage from the Lava Pups. Unless your deck order is bad, or the opponent has defended well, you’re probably inflicting enough damage to get the tower down to 50% of HP or less, if not more. The opponent very well may ignore your push and send a Giant or other tank down the opposing lane. 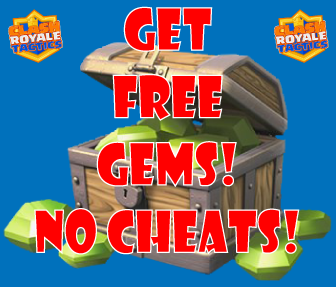 In that case, you can put down an Inferno Tower or play your skeletons to help destroy the tank while taking damage. Trust me, your push will very likely inflict more damage than your opponent’s, so the trade-off is worth it. 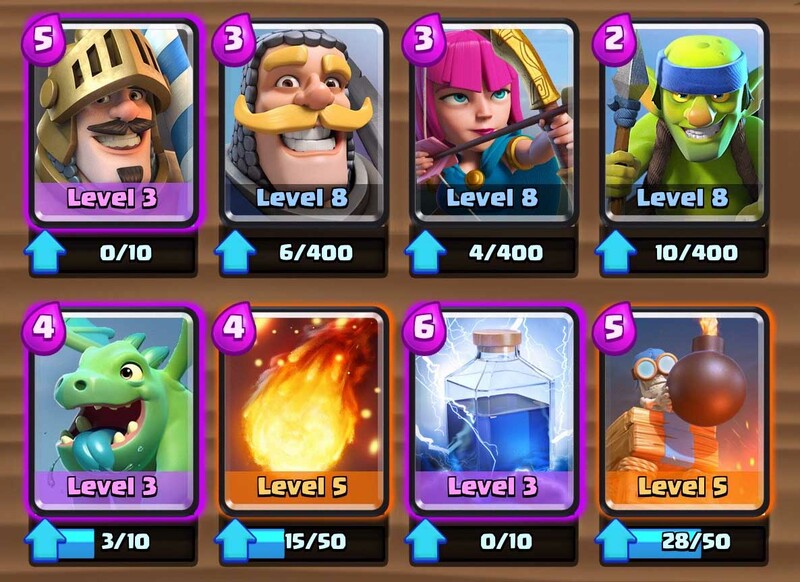 This is a good deck against Royal Giant, Hog Rider, and Sparky decks – the Skeleton Army, Skeletons, Minions, and Fire Spirits all distract Sparky rather easily. There are a number of cards or card combinations that can easily counter this deck, so let’s talk about them. The first is an Inferno Tower. It is probably the one card I don’t want to see in someone’s deck when playing them with this one. It will take out the Lava Hound pretty easily and then start targeting the pups. The Balloon will probably finish off the Inferno Tower and you might have enough energy to hit the tower you initially meant to attack, but it’s far from guaranteed. 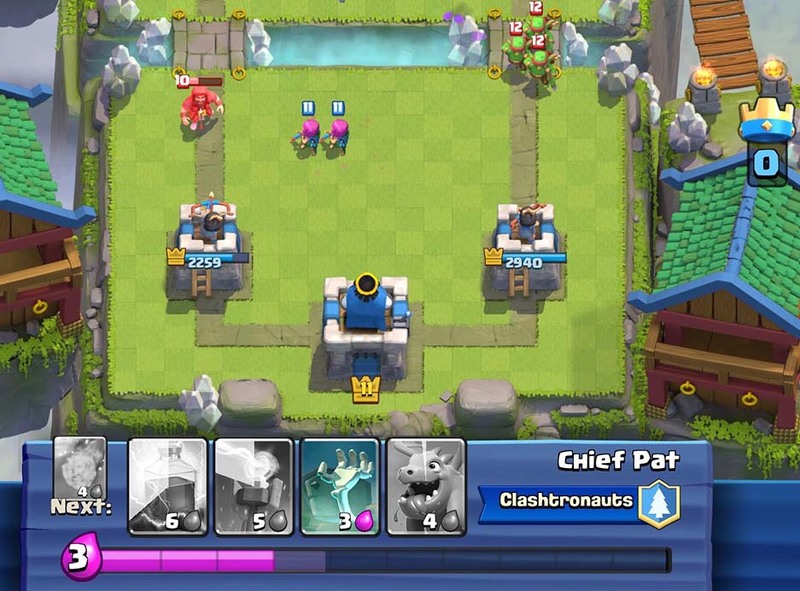 Skeleton Army/Minion Horde are intended to counter the Inferno Tower if the opponent places it, but they’re usually able to counter with Arrows, a Valkyrie, Poison, or Zap, which puts you in a deeper hole. Also, Wizard + Ice Wizard, used in tandem, is pretty devastating against this deck. The progress is slowed from the Ice Wizard’s frost, and both wizards are able to damage not just the Lava Hound but the Balloon as well, since the Wizard has splash damage. I often see Ice Wizard + Musketeer used as a defense, but this is not nearly as powerful – I can still get my balloon to your tower and inflict massive damage. Without getting too far into the weeds, let me provide an overview of my last loss and my last win. This deck has me at 3350 trophies currently. My max is in the upper 3500s. This was a tough fought battle. The opponent was using a Lumberjack/Giant offensive push, which I countered with Inferno Tower for the Giant and Skeleton Army to distract the Lumberjack. He takes out my first tower before I even attack one of his towers, but I essentially gave it up to finish my first Lava Hound/Balloon push, which destroys his tower, only defended by a Musketeer. At 1:18, we’ve destroyed a tower each, and he’s got my crown tower nearly halfway damaged. We both play pretty solid defense and push to overtime, with our remaining side towers at nearly full health as OT starts. He’s attacking my crown tower, which I guess makes sense since it has less health than the other tower, but I am able to counter. Eventually he gets greedy with a push and with about 20 seconds left, I send a Lava Hound, Balloon, and Minion Horde right behind and I destroy the tower, which went from 2120 HP to zero in about 8 seconds. This was a battle against a Three Musketeers deck that I probably had no chance against but nearly managed to push to overtime. The player’s counters were pretty good, and even two Musketeers against a Lava Hound is going to be worrisome. I only had damage on the one tower, really, and had the Balloon land once, knocking the tower health down to roughly 600. Just a lesson, if you think you’re outmatched, and I was here, try and play it to a draw if possible. Feel free to comment and let me know what you think of my deck. I think the results speak for themselves but feel free to suggest any tweaks you may have! Sweet deck man. I had been on a bad losing streak and now I’m doing just the opposite. I’ve won four or five matches in a row and going on strong. Thanks for this! Pretty Nice Deck. First Comment!